I was reading an article the other day, part of a daily collection of interesting and very current offerings put together and e-mailed out by The 2012 Scenario. 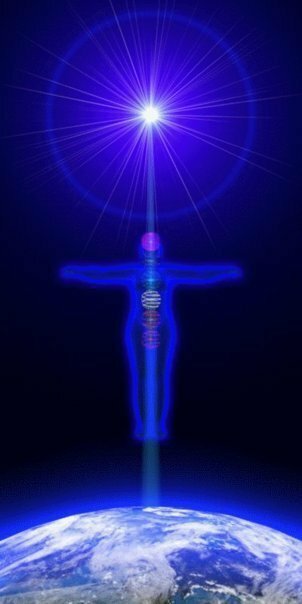 It was called The Unknown Lightworker – The Lightwarrior. The title intrigued me, so I read it. I’m glad I did, as it spelled something out for me that I could never quite put my finger on, something about myself, and the way I express things to others that I feel are very important for them to understand (for all of us to understand, of course, including myself – and apply in our daily lives as much as possible). This is especially relevant now, in these exceptionally uncertain and chaotic times. ‘Everyone in the new age/spiritual scene is familiar with what a lightworker is…. Lightworkers…. Those who soothe the soul, inspire the masses, heal the mind and/or body, and teach seekers the ways of truth and light. Lightworkers do their functions both in public and private, and are those beautiful souls that are sought when there is another in need. Their methods are mostly gentle, nurturing, encouraging, empowering, or enabling in nature. The lightworker sees the beauty in all things, all the time. What is unknown though, until now, is the “hidden” lightworker that you may have seen from time to time. . . . . Seeming cold, logical, and often times seeming negative, they are often misunderstood and disliked among the lightworker community. Lightwarriors… Those who make known all sides of any given issue or topic. Those who defend and fight for light and truth, either in the earth or astral realms. Those who restore, fight for, and keep balance in all things. Lightwarriors can and often do those things that lightworkers do as well, but most often in a closed and one-on-one setting, and methods used may differ than those of most light workers. The lightwarrior methods may include the diplomatic but direct approach, bluntly honest in nature, but offering encouragement and support where needed and warranted. The lightwarrior approach may range from gentle and nurturing to a more intense, empowering “tough love” approach. Lightwarriors are aware of both sides of the coin, and defends the light by making all sides of an issue known, no matter how unpleasant or controversial. The lightwarrior respects all paths and beliefs, but is quick to jump to the forefront of things if there is something important to be said. Often times the message the lightwarrior brings is against the grain, against the fabric of what most lightworkers believe or hold. Lightwarriors tend to be intense, often appearing to lack love and compassion, and speak from the viewpoint of blatant honesty, no matter how blunt or controversial. The Defender of Truth… This is the type of lightwarrior that tends to draw the most fire. The defender of truth knows that truth itself is highly subjective, each having its own meaning to those experiencing it. What is truth for one person might not be truth to another. 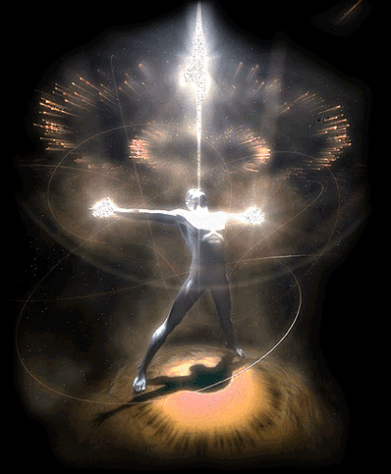 The highly subjective nature of truth, and the infinite ideas that truth represents, provide a unique challenge to the lightwarrior. The lightwarrior speaks ideas to the masses whenever he/she sees an area of concern that needs to be addressed. The lightwarrior knows that not all lightworkers have the same level of discernment, and is aware that with the subjective nature of truth, his/her ideas may not resonate with all, and is therefore left open to attack by those of whom his/her words may not resonate. The defender of truth’s style of speaking may vary from lightwarrior to lightwarrior, but often times it is the bold and upfront approach taken by some that tend to inspire one group of lightworkers, while drawing reproach from others. Many times those in support of the lightwarrior will voice their words in private, while those against the lightwarrior will voice their opinions publicly. This tends to give the appearance that the lightwarrior is speaking to an empty room, and sometimes leaves their credibility in question. This is a risk the lightwarrior is aware of, and is willing to take in the name of the Greater Good for ALL. This last characterization/description is what I strive to BE, incorporating the love and empathy and upbeat attitude of the typical Lightworker, with the distinctly less ‘warm and fuzzy’, more ‘just deal with it’ style of the Lightwarrior – which is what I most definitely AM still best defined as (for now). Some of those descriptive words and phrases up there in that article have been used to describe me! (Which is why I highlighted them.). It’s not always pleasant, believe me, especially if it’s someone you really love and care for. Both I and my ideas get attacked constantly, more often the former – it’s a lot easier for many less educated/researched/experienced, emotional-driven people to simply attack the messenger than to have a civil, orderly discussion of the concepts it seems. You can lead a horse to water, but you can’t make it drink — especially if it’s trying to kick you in the head! Sometimes trying to help people can be downright dangerous . . . . . Anyway, I may not like the impressions that people get of me sometimes about the stuff I write, and/or my particular style, but I can’t argue with them either. I admit I can be ‘blunt’, ‘insensitive’, ‘pushy’, ‘direct’, ‘undiplomatic’, or even ‘asinine’ on occasion with the direct manner in which I present information. But I can take it, you see. It used to get to me, but no longer. I feel, to the very core of my Being, that it is very, very important that people open their minds to a greater understanding of things in our Universe – NOW. I don’t claim to know all the answers, no way. But the things I DO ‘know’ have been vetted, proven, demonstrated, and ‘tried by fire’ enough times in my personal direct experience that it would take a professor of many disciplines, AND a veteran of many extreme experiences, to even begin to be able to successfully dissuade me from my conclusions. It’s happened, of course, enough to let me know that I definitely do NOT have ‘all the answers’. But not often, and not lately. Thank the Multiverse I do NOT debate subjects, or even write about those, with which I do not have years of learning and direct experience with. There is a LOT of stuff that I simply don’t know much about at all – but, unlike many, I have a strong enough self-esteem to readily admit that. Anyway, I really appreciate this article because it makes clear, as I believe only ‘one of us’ can, that our intentions as ‘Lightwarriors’ are just as ‘pure’ as any other Lightworker’s (if not more than some of them), AND that our deepest motivation comes not from any feelings of ‘arrogance’, or attempts at forceful compliance with our ‘version’ of the very subjective lower realities (yikes! ), but from a really, really, really powerful desire to get the information/message through – and/or prevent somebody, or a group of people, from making a tragic, pivotal mistake in their thought process, logic, analysis, or perceptions. The term ‘tough love’ is precisely accurate. Whatever works, right? There just isn’t any time left to mess around. For future reference, please keep in mind the following advice from the author when dealing with me, and other Lightwarriors out there. I’d really appreciate it a LOT! . . . .